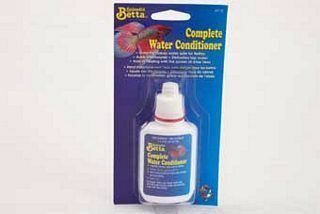 Contains Aloe Vera To Stimulate The Natural Protective Slime Coating On Bettas. Adds Electrolytes For Better Health And Vitality. Aquarium Pharmaceuticals - Complete Water Conditioner - 1.25 oz product is categorised under Wholesale Aquarium Pharmaceuticals Inc products, Wholesale Aquarium Products, Wholesale Water Conditioners.